Kenneth Thompson, the eldest son of three children, was born to Melvin, Jr. and Ella Thompson on August 9, 1958 in Bronx, New York. He quietly transitioned from his earthly life on March 21, 2019 in the MUSC Marion Health Medical Center. Kenneth was joined in holy matrimony to Porcha F. Thompson of Mullins, SC; at a very early age. This union was blessed with one child, Kenneth Thompson, Jr.
Kenneth was educated in the Marion County School District. He was a 1977 graduate of Mullins High School. 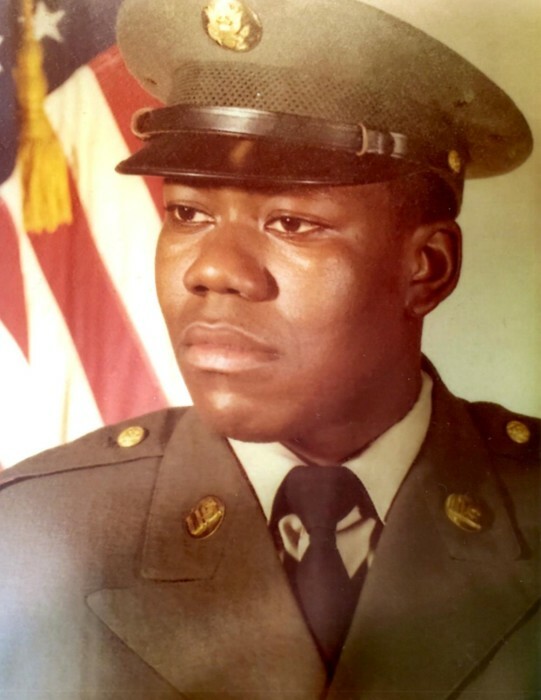 He further pursued his dream by serving four years in the United States Army. He was a member of Mt. Beulah United Methodist Church in Mullins, SC. Kenneth was employed at AVM Industries for 30 years. A very diligent and skillful hard -worker was he. Kenneth went over and beyond his job task to ensure his department operates smoothly. His sincerity, commitment, his positive energy and going the extra mile gave him satisfaction of a job well done. Not for himself only, but for the benefit of his co-workers. Kenneth loves sports. He was a full-fledged Dallas Cowboys fans. If you were ever in his presence you were bound to get a good laugh. Everyone who met him was instantly drawn in by his sense of humor. He had a genuine concern for the well-being of those around them, He enjoyed spending times with family and friends. The love of his life was his grandson. His inner circle friends were countless. Kenneth can attest, to Proverb 18:24, a man that hath friends must shew himself friendly. He was …most importantly… a friend. Kenneth’s life will continue to have a tremendous impact on many lives. He lives to cherish his memory and continue his legacy; his wife, Porcha Thompson; one son, Kenneth Thompson, Jr; one grandson, Kody Thompson, his devoted parents, Melvin and Ella Thompson, one sister, Gaye Thompson all of Mullins, SC; one brother Arnold Thompson of Charlotte, NC; a mother-in-law, Janie Lee Davis; a special friend, Monica Johnson all of Mullins, SC; two special nieces, Ebony Thompson of Mullins, SC; and Amani Thompson of Marion, SC; four brothers-in-law, Derrick Ellison, James Ellison, Shawn Ellison all of Mullins, SC; Raymond Manning of Dillon, SC; two sisters-in-law, Nikki Ellison and Sonya Ellison of Mullins, SC; a host of aunts, uncles, cousins and other relatives and friends; a special thank you to Aunt Miriam Atkinson of Mullins, SC; and last not least his loving and supportive second family, AVM Industries co-workers.